More Literate Than Lauren Conrad! Thanks to The Longstockings blog for highlighting the “expert” interview of author reality star Lauren “LC” Conrad on EW.com’s Shelf Life. It’s no surprise that the girl couldn’t have come up with a genuine answer if she tried (Goodnight Moon? Really? ), and it’s pretty funny. I feel for her ghost writer. Favorite book as a child / There were SO, so many, but my standard answers as a child were Rechenka’s Eggs by Patricia Polacco for my favorite picture book, and as I got older, The Trumpet of the Swan by EB White. Book you’ve gone back to and read over and over again / I’ve probably read the Golden Compass by Philip Pullman dozens of times in my life, and it is fascinating in a completely different way now than when I was 10 years old. Required reading that you hated / God rest his soul, J. D. Salinger, but I genuinely hated Catcher In The Rye. I’m sorry, but that’s what I would’ve said last week. 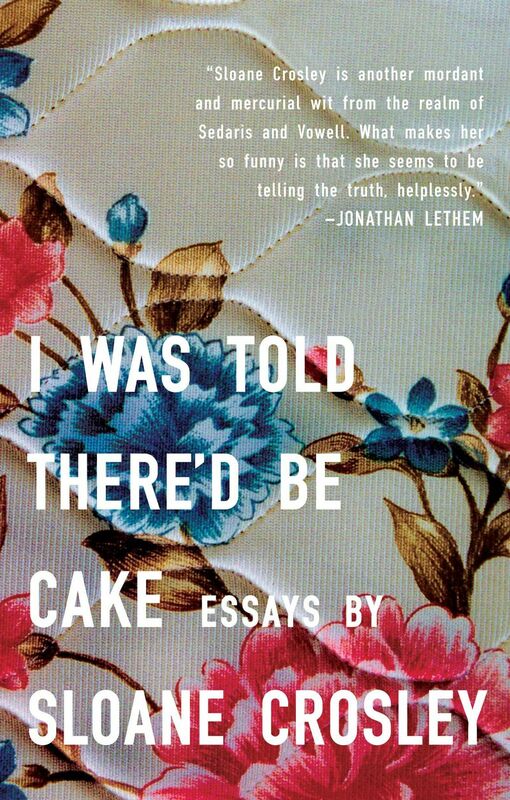 Fictional character you most identify with / She’s not fictional, but Sloane Crosley, whose memoir I Was Told There’d Be Cake had me in stitches for weeks, is the Westchester-Jewish-writer version of myself. Favorite book by a fellow celebrity / Does David Sedaris count? How about Amy? Favorite book as a teen / Stargirl, by Jerry Spinelli, is pretty much the reason I made it through my adolescent years. She was my role model… I used to read it over and over for reassurance. My dog-eared copy still sits on my shelf at college, and I’m pretty sure I’ve teared up every time I’ve read it. Book you’ve faked reading / I try never to use SparkNotes, but I did fake reading Nietszche. He’s not my scene. Book you’d use as a doorstop / Janson’s A History of Art is the requisite doorstop of any art student. Book you want to read next / I’m simultaneously reading The Help and Double Take, but the top three books/audiobooks I’ve been dying to get to for months are Sarah Vowell’s Assassination Vacation, Love In The Time Of Cholera by Gabriel Garcia Marquez, and The Female Brain by Louann Brizendine. Book that changed your life / I already mentioned Stargirl, so here is my cheesy runner-up answer to make LC proud: last year, He’s Just Not That Into You became the first and only self-help book to change my life. Seriously. Now, it’s the book that I want to use to slap my girlfriends in the face. 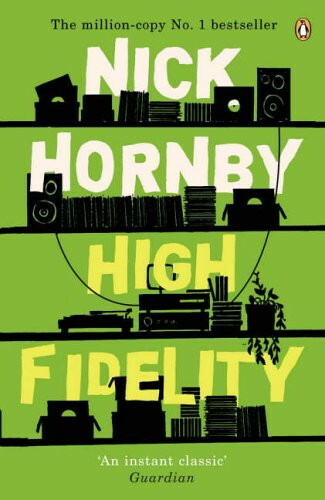 Book with the best movie version / I’ve always had a soft spot for High Fidelity, and the movie adaptation is almost as witty, poignant and entertaining as Nick Hornby’s novel. More recently, I was blown away by Precious: based on the novel Push by Sapphire, and I keep picking up the book in stores but I don’t think I have the guts to read it (if you can believe it, the movie actually glossed over a lot). Best author to read on airplanes / I always read short stories, like No One Belongs Here More Than You by Miranda July, that keep my attention, but I can fall asleep and not lose my place if I want. Just make sure the person next to you isn’t reading over your shoulder at the inappropriate parts. Fictional character you have nightmares about / After reading The Devil’s Arithmetic by Jane Yolen in 4th grade, I had nightmares about the Holocaust for the rest of the year! This entry was posted in book reviews, grown-up books and tagged amy sedaris, assassination vacation, book review, books, catcher in the rye, david sedaris, double take, e.b. white, gabriel garcia marquez, he's just not that into you, high fidelity, i was told there'd be cake, interview, j.d. salinger, jane yolen, jansons, jerry spinelli, lauren conrad, lc, louann brizendine, love in the time of cholera, miranda july, nick hornby, nietszche, no one belongs here more than you, patricia polacco, philip pullman, precious, push by sapphire, rechenka's eggs, sarah vowell, sloane crosley, stargirl, the devil's arithmetic, the female brain, the golden compass, the help, the trumpet of the swan. Bookmark the permalink. I love love loveee sedaris! David and Amy! and I was told there’d be cake is a great!